We can’t help but agree with Apartment Therapy here — more and more, the most desired kitchen design style throws way, way back to the early part of the 1900s, with simple shaker cabinets, open shelving, farmhouse sinks and big vent hoods continuing to move into the foreground. And although the trend still hasn’t exactly reached a peak with homebuyers and home renovators, classic retro/throwback kitchen appliances keep getting more popular too. Consider us on board — the candy-bright colors and rounded edges are a fun counter to the sharp, sleek stainless steel appliances that are standard in Nashville homes (and most everywhere else these days). 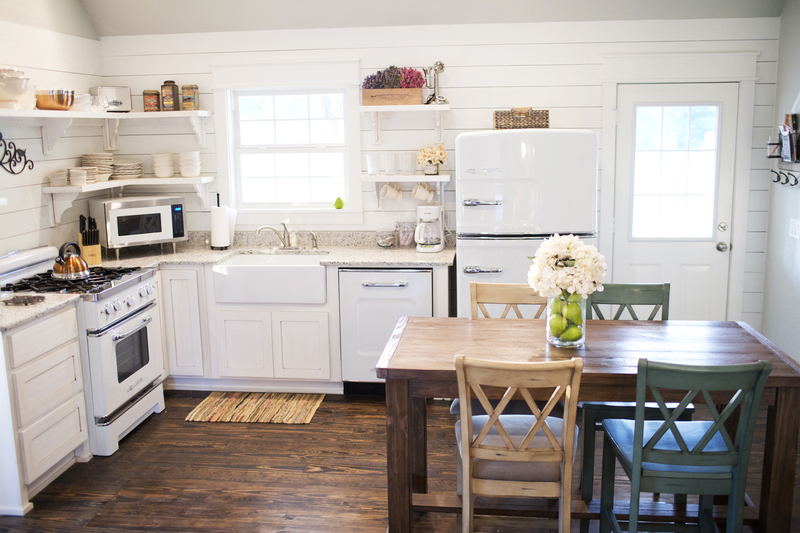 They won’t be everyone’s thing, but if you love historic homes and historic home design, a reworked vintage stove or new, retro-designed appliances are the perfect kitchen statement. Personally, our team loves both of those options, but we have to admit that new appliances with retro aesthetics are easier to find, easier to maintain and often easier to use. More and more lately, their designs are just about perfect, too. 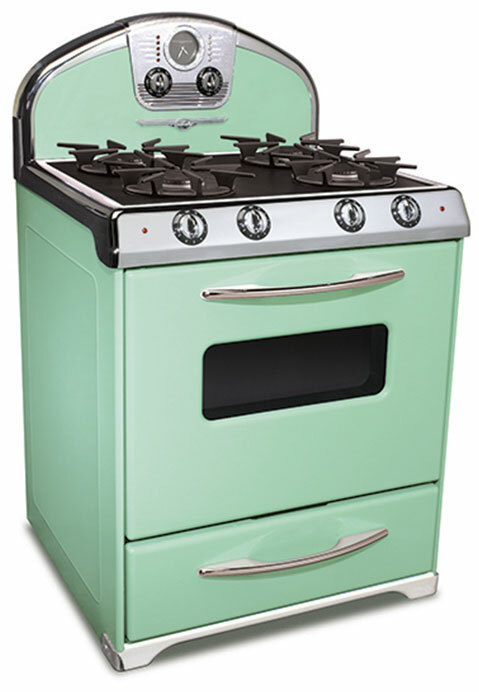 High-end appliance company Big Chill doesn’t only work with throwback designs, but when they do — in their Retro Line — it’s spot-on and fittingly cool. 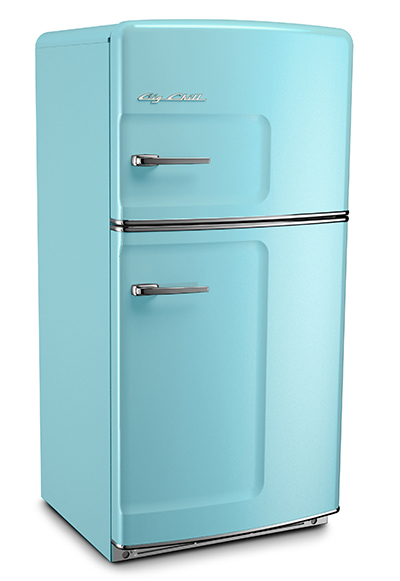 Individual appliances like the original fridge, pictured here, come in a variety of bright colors, from this beach blue to a bright orange or soft pink. While this icebox looks like it was pulled from the past, the performance is modern — it’s Energy Star efficient, can include an ice maker, and has more than 20 cubic feet of space. A cool thing about SMEG’s retro series: While they make major kitchen appliances, like refrigerators and dishwashers, smaller tools are in the mix too, including toasters and stand mixers, so you can let the aesthetic flow through the whole space. 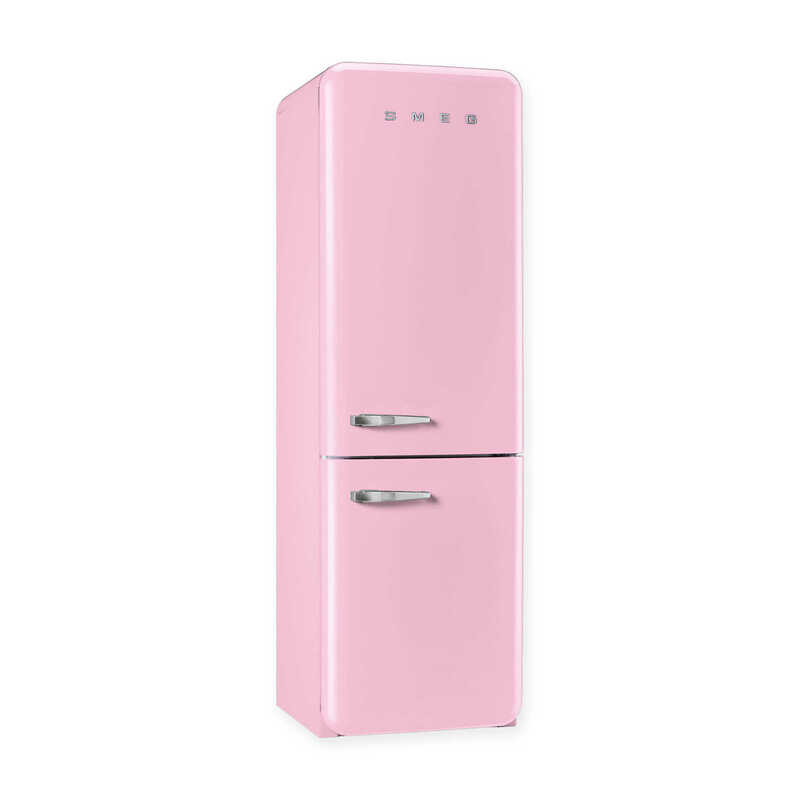 Your super-stylish kid in college can even grab a ‘50s-style mini-fridge. AGA’s three-oven cast iron ranges, in particular, are among the coolest-looking throwback-style appliances you can find. But hidden inside that days-of-old design is seriously modern function, with a roasting oven, baking oven and slow cook oven, cast-iron hot plates on the cooktop designed for fast boiling or simmering, and lots of other tricks for the cooking-obsessed. These are high, high end (and style), so they don’t come cheap — in the time that the look these are based on debuted, you could probably buy a nicely equipped estate for this price. The Northstar series from this Canadian company really homes in on the retro design details — the control panel on the Model 1947 range alone is enough to make a vintage-home fan swoon. These too have all the modern options in place, though — sealed gas burners, ceramic cooktop, convection oven… you trade no function for that style. For going way, way back design-wise, it’s tough to beat their Antique series, which looks pulled out of the history books in the best possible way. 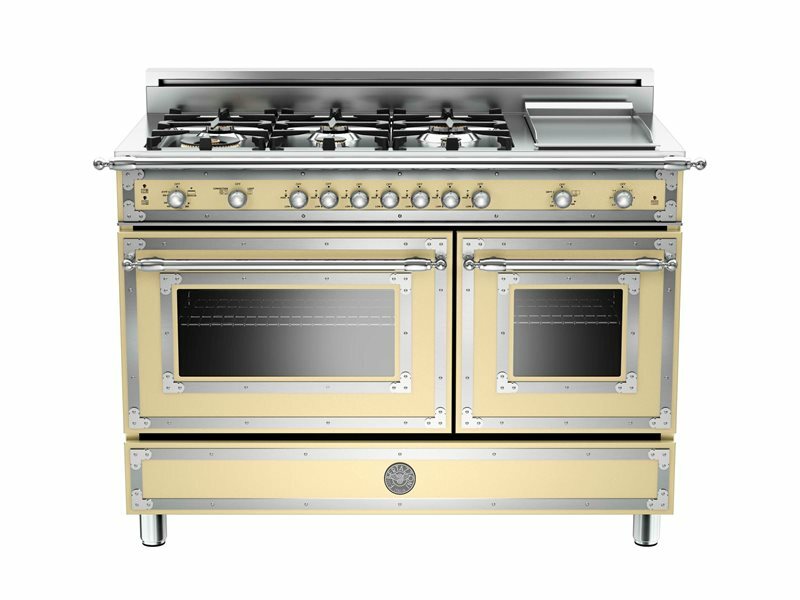 More back in the throwback sense than a lot of those mid-century inspired options, Bertazzoni’s Heritage Series ovens are meant to hark back to the earliest days of the Italian company (in the early 1900s), when its founders were building wood-burning stoves. A century or so later, the elegance remains in tools like this six-burner gas oven, you just don’t have to chop/feed it any logs. Are you looking for a new Nashville home that suits your throwback aesthetic? Or one that’ll let you flex your renovation muscles? We’d love to help you find the perfect place. Reach ACRE here, or for an easy way to get your Nashville househunting process started, fill out this quick form.